Because skin that works hard for itself is skin that shines with healthy vibrancy at all ages. revitalised and looks radiant in the morning. Dr.Hauschka Night Serum delivers exactly what it promises; oil-free serum which enhances your night-time routine. It stimulates the skin's renewal processes, supports elimination and strengthens skin metabolism so that you wake to a fresh, firm and vibrant complexion. When Dr.Hauschka Skin Care was introduced in 1967 they were unique in saying that night care should not include creams and oils. A healthy and hydrated complexion is created when we follow the skin’s natural functions. 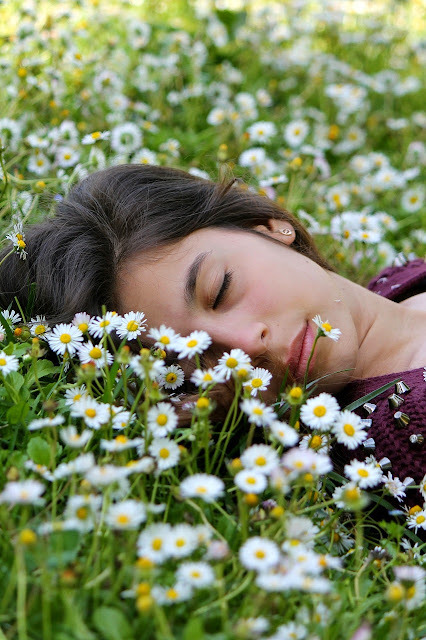 During the night our skin becomes more active; cells divide, metabolic wastes are eliminated, it regenerates and balances its' moisture requirements for the next day. Skin must 'breathe' in order to eliminate well, reducing congestion and blemishes. And it needs to produce its own oils to remain properly hydrated. Skin that works hard for itself is skin that shines with healthy vibrancy at all ages. So where does Dr Hauschka Night Serum fit into this advice? Our skin is challenged in many ways which were unknown in the 1960's when Dr. Hauschka Skin Care was new. Increased pollution, dietary additives, pesticides, chemicals and screen radiation assault our skin every day. Meticulously researched, this unique Night Serum offers a powerful stimulus to support the skin's nocturnal rhythms of hydration, elimination and repair. As our body slows down in the evening, the crucial period of renewal and regeneration for our skin begins. Dr. Hauschka oil-free night care supports the skin’s essential nightly processes and allows it to breathe freely. The light-textured serum is easy to apply and is suitable for all skin conditions including sensitive skin and oily and congested skin. If your skin needs vitality, freshness and firmness then Dr.Hauschka Night Serum is for you. If you are over 40 years you may prefer Regenerating Serum which is designed for mature skin but the Night Serum is suitable for all ages, young and older. The principle ingredients are the blossom and fruit of the organic Berner Rose Apple which are processed in a unique distillation process. The blossom 'opens' the skin, allowing elimination and renewal. The fruit 'energises' the skin, keeping it fresh and firm. You are rewarded with a fresh, radiant complexion in the morning. To use: Cleanse as usual and spritz with Facial Toner. Apply a tiny drop of Night Serum to your face, neck and decollete. Innovative, effective, straight-forward performance skin care by Dr.Hauschka. When you wake does your skin feel vibrant and healthy for the day ahead? Originally posted 14th May 2015. Do you think that moisturising the skin is the most important aspect of skin care? It is a gentle yet deep cleanse allows the skin to carry out its essential functions of protection, secretion, and production. It is the foundation for healthy radiant skin. Why using a muslin cloth improves your cleansing routine? Simply put, it supports the internal functions of your skin. Use it to warm before a cleanse: the warmth relaxes and opens the pores so the cleanse is more deeply effective. Warmth also dilates the tiny blood capillaries which bring nutrients and oxygen to the surface of the skin. 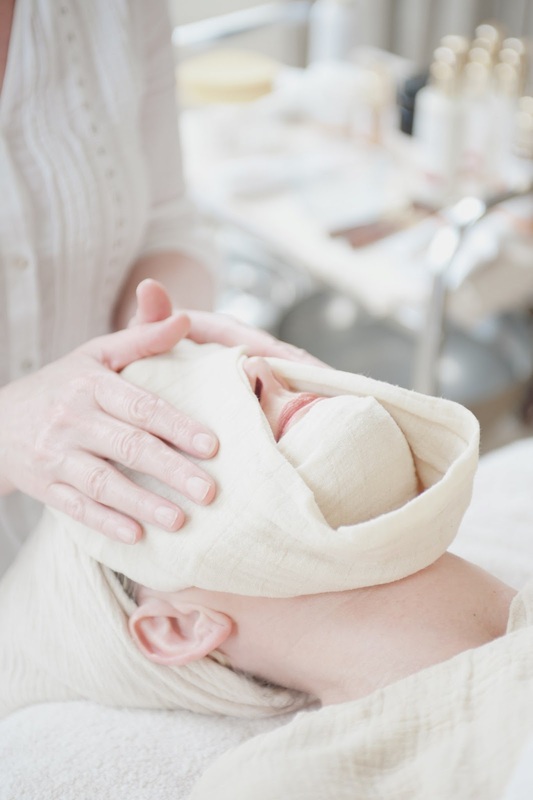 At the end of the cleansing routine, a cool cloth constricts the pores, helping to push out congestion. The cool temperature also stimulates the lymph system which is responsible for waste removal. Splashing your skin with warm and cool water is ok but not as effective as using a cloth because it allows the warmth to really penetrate. Your new muslin cloth will seems huge but will shrink a little on the first wash. Don't be tempted to cut it up. It is large by design so that it can be folded into a quarter and have a good thickness to hold the warmth. 1. Fold your cloth into half and then a quarter. 2. Fill your basin with warm water, add your chosen Bath Essence*. 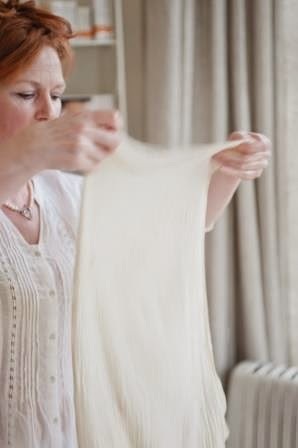 Soak the muslin for a few seconds, wring out and hold it against your skin. Hold it for a couple of breaths. Top Tip: Hold the cloth gently into your eye sockets to help stimulate fluid drainage. This is useful for everyone and especially if you are prone to puffy eyes. Include your neck and décolleté. Mix 1cm of Cleansing Cream to a paste in your palms by adding water and apply using a pressing, rolling motion, paying attention to areas that might be blocked such as the nose or chin. Use the whole hand, not just fingertips. Avoid the eyes. Work from top to bottom and inside to outside to support the internal processes. 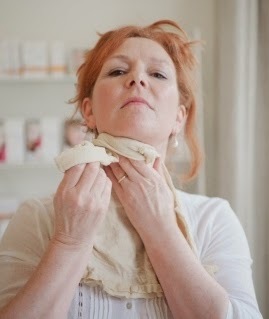 Open the muslin to a 'half' and remove Cleansing Cream gently yet thoroughly. 4. Finally, place the muslin under the cold tap and hold that to your skin to tighten the pores and stimulate the lymphatic system. 5. Follow with Facial Toner to strengthen and stimulate the skin's moisturising capacity. Result: healthy vibrant skin and a delightful cleansing routine just for you. 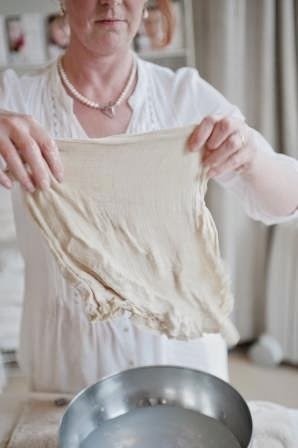 Have you used a muslin cloth during your cleanse before? Do you think you will use one now? The routine takes longer to read about than to do. It takes me perhaps 1-3 minutes depending on how quick I am. Time well spent! *The addition of a couple of drops of Dr.Hauschka Bath Essence improves the quality of hard water and smells divine! Do please contact me if you would like bespoke advice to get the best from your cleansing routine. grace@graceemmerson.com. I saw a beautiful woman the other day. She spoke of her despair that her face showed signs of age. As she spoke all I could see was the beauty of her life; wild excess and deep integrity, children she's cared for, men she's loved, her friends, family, work, study, fun and laughter. Enormous joys and bottomless sadness. She is a good woman to all around her and saves her cruel words and criticism for herself. She's not alone in that. I wanted her to see what I saw; ageless beauty. 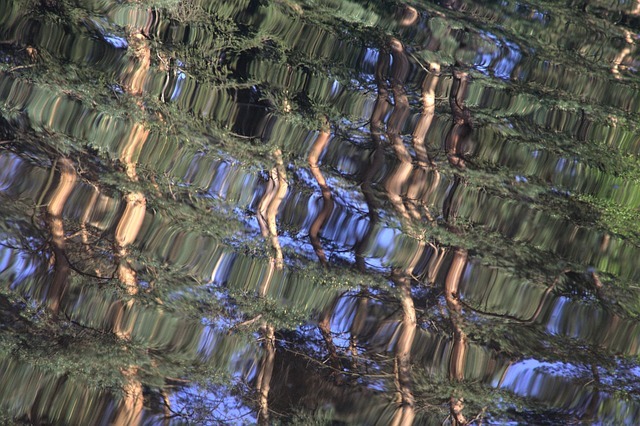 When we are kind and compassionate to ourselves, we know our own particular beauty. It's a place of rest. I may be an outdoors woman but I like my skin to look as if I spend all my time indoors. I turn to Dr.Hauschka for protection and hydration and keep my skin wrapped in its very own duvet. I wasn’t always sporty. At school I preferred to skip netball in favour of smoking on the roof of the old school buildings. And late-night dancing in smoky bars was my favourite exercise in my early twenties. But once I became a mother, I discovered the steadying rhythm of running while my daughter was in bed to process my day and sort my thoughts. Exercise is one of the things that keeps me sane! I love the outdoors life; being in nature and being physically active nourishes me and is good for my soul. 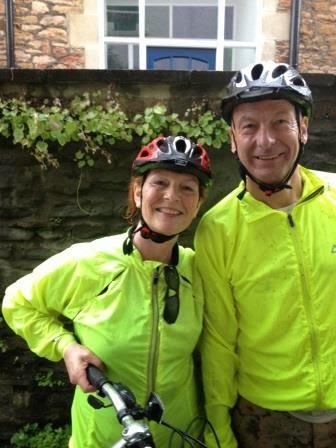 I love walking in wintry woods, running on the Downs, sailing in the estuary and most of all I love cycling. The wind – and even the rain – in my face, makes me feel alive, forever young. But my skin!! I may be an outdoors woman but I like my skin to look as if I spend all my time indoors. And that is pretty easy to achieve. All that is needed is protection and hydration. Protection from the moisture sapping cold and wind and, of course, protection from the sun. And emergency rehydration when I’m back indoors. So, of course, I turn to my favourite Dr.Hauschka products. Just as put on my layers and pump up my bike tyres, so I apply Lip Balm, Eye Balm and Clarifying Day Oil. If its super-cold or windy I pop some Hydrating Mask on top. Belt and braces. The wind and cold cannot reach through the layers of rich protection. My face is tucked under a 'duvet' and I can enjoy racing downhill without a care in the world. As soon as I get home and am showered I apply the delicious and super-restorative Dr.Hauschka Soothing Mask. Packed full of plant extracts and oils to calm and strengthen my skin with Fair Trade Shea Butter and Macadamia Nut oils to put back the moisture that the wind and rain tried to steal. It is my current favourite mask and to say that I live in Soothing Mask during the winter is not much of an understatement. 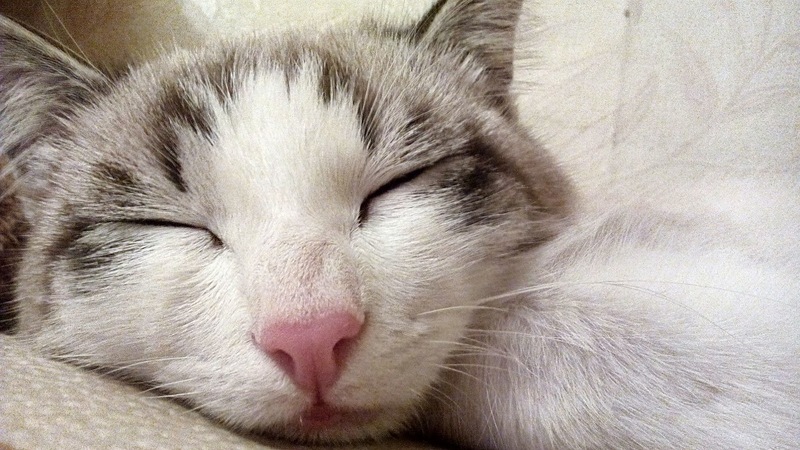 keep your skin tucked under its very own duvet. How do you protect your skin when you are outdoors? "She used to have acne. Now she has beautifully clear, radiant skin. 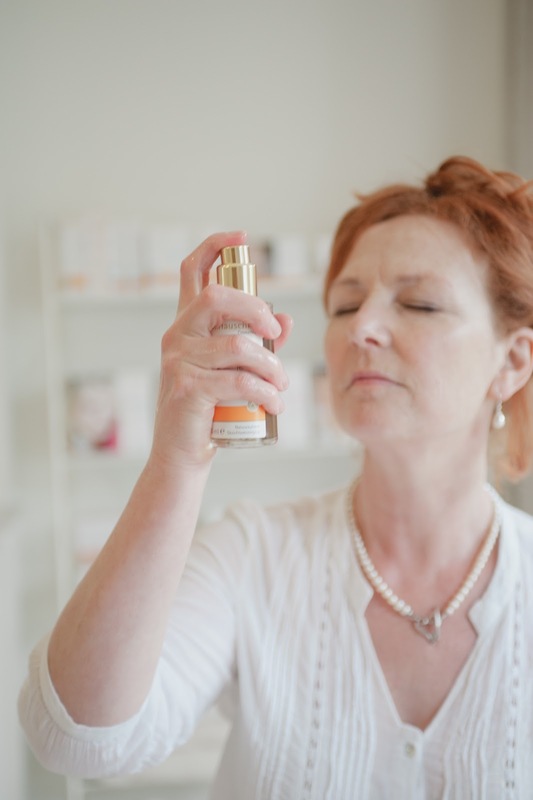 Dr.Hauschka Clarifying Treatment. Result!" The Dr.Hauschka Clarifying Treatment starts with your feet and does not end until your whole body feels relaxed, rejuvenated and well-balanced. 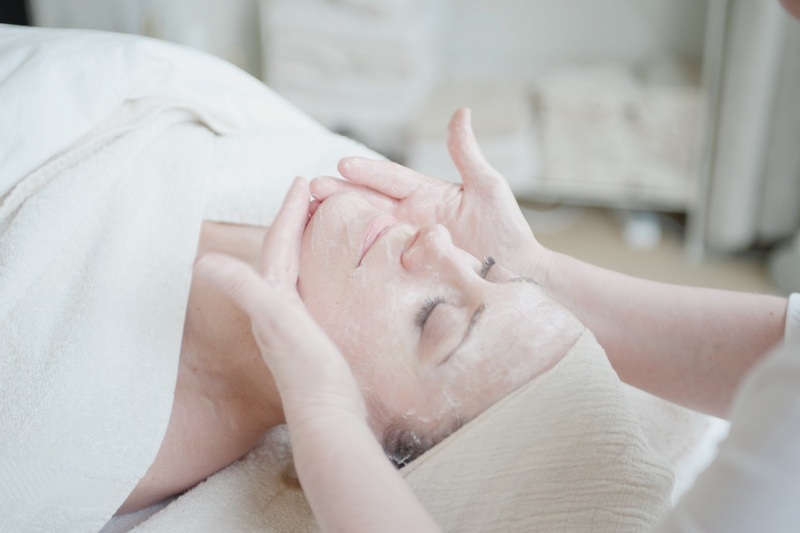 An intensive deep cleansing holistic facial, designed to regulate and refine blemished, irritated skin to restore it to natural and radiant balance. It is a ‘holistic’ facial because it addresses the needs of the skin and contributes to a profound feeling of deep and lasting relaxation which has a major effect on the skin’s ability to eliminate well and return to a natural state of health.. The skin care range is unique in that it works with blemished skin to repair, strengthen and give long-term support to create a healthy complexion, instead quick-fix solutions with temporary results that do not address the underlying causes of this distressing condition. 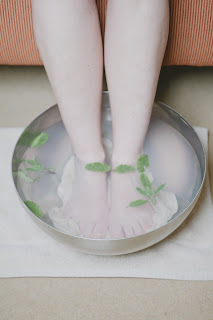 We begin with a beautifully warm footbath to initiate relaxation and discuss what you need from the treatment. Gentle massage to lower legs, neck and arms ensures you are fully relaxed before I turn my attention to your face. Aromatic compresses warm the skin prior to deep cleansing. 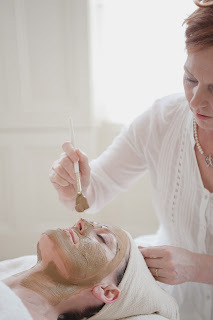 The skin is gently steamed in preparation for the deep-cleansing clay mask, which absorbs excess oil. Blemishes and blackheads are visibly reduced. Fundamental to the skin’s repair is the reawakening of the lymphatic system to aid essential waste removal. Blemished skin responds well to lymphatic stimulation using soft brushes. 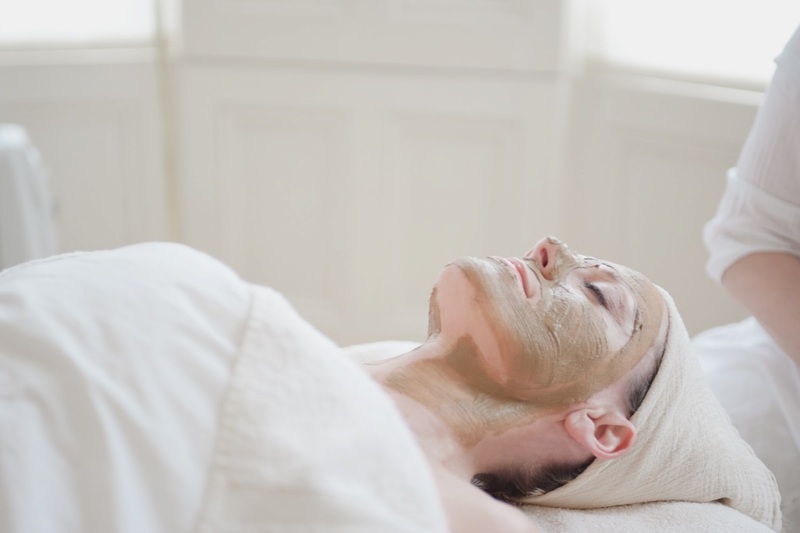 A nourishing treatment mask is selected to specifically address your skin’s requirements. To complete the treatment, you will have a deeper understanding of your skin’s needs and a personalised home care routine to continue the healing response. Your acne condition is unique and is most effectively treated by getting personal advice specific to your needs. 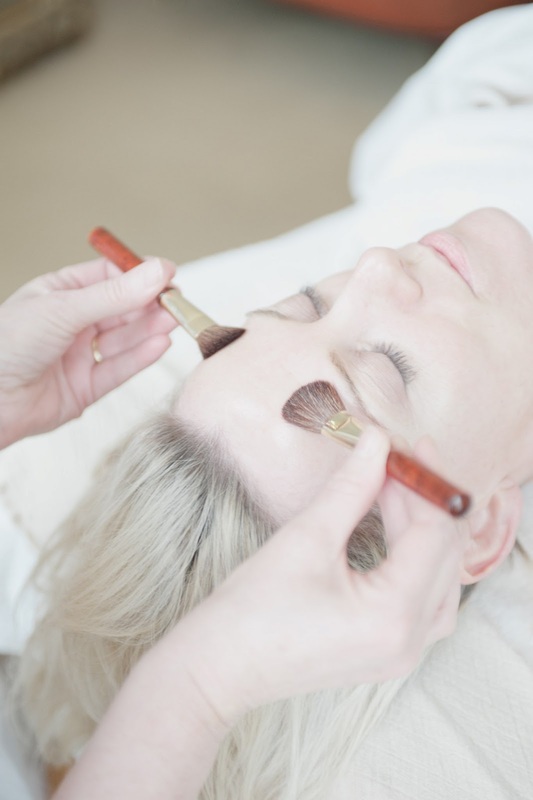 If you would like to explore the healing potential of Dr.Hauschka skin care, I suggest that you book an initial Clarifying Treatment to start the healing process and give you confidence in using the skin care products. We will discuss a treatment plan which will remain open to review. I will continue to monitor your condition, providing the necessary advice and support throughout your programme. I have successfully treated many clients with acne conditions and have seen excellent responses in people of all ages, including teenagers and people who have suffered from acne for up to three decades as well as clients with adult-onset acne and acne rosacea. There are no miracle cures and normal healing takes time and patience. What I can say with absolute certainty is that from the early treatment stages, skin looks healthier and blemishes heal sooner. Over time blemishes reduce and your skin will become stronger which in turn enables continued improvement. One of the many reasons that I love Dr.Hauschka skin care is because the ingredients don't change with gimmicky frequency. Remaining true to their initial composition for over forty five years, they stand the test of time is because they work for each and every skin condition. 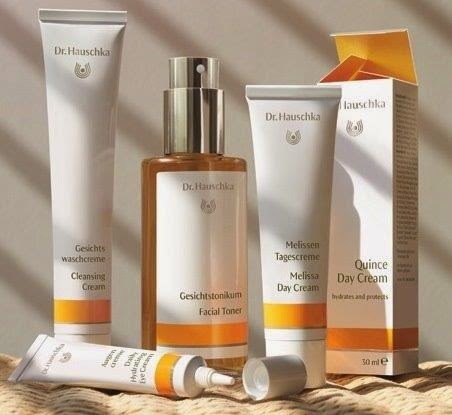 The whole range is my favourite but each year twelve Dr.Hauschka products are singled out as the most popular, the best selling, award-winning products, lauded by the beauty press and described by customers as must-have‘skin savers'. These are known as the Hero products. For the second consecutive year, Rose Day Cream has been voted ‘The Peoples' Favourite’. Shortly I will explain why it is so popular. But first of all I want to share my fascination with the provenance of this wonderful cream and demonstrate why I LOVE using Dr.Hauschka products. It isn't just because it is the best skin care but because the ingredients have a remarkable provenance too. It matters to me that when we take care of ourselves, care has been taken with others also. When working on a recipe, Annette Greco and her team keep a constant eye on the materials and the processes, and thus on the basic nature of people and plants. This is the only way to ensure that the finished products have a holistic character with multifaceted consumer appeal. In creating the final recipe the developers devise and reject many different approaches. The effectiveness and skin compatibility of any product is then tested by independent institutes without using animal testing. And then we (finally!) present our product to you. Why is Dr.Hauschka Rose Day Cream so popular? Perfect for weather damaged, red, dry, sensitive skin this rich, beautifully scented cream contains the extract of over 1,075 organic Rose petals in every tube to help maintain the skin's moisture content. Rose oil and Wild Rose Hip extract envelop the skin, holding moisture in and soothing redness and sensitivity and reducing the appearance of dilated thread veins. After cleansing, spray with Facial Toner and then apply about 1/2cm cream onto the palm of your hand. Gently rub onto the second palm and press onto the skin from the top downwards. For extra protection from the elements apply Quince Day Cream on top. And for a winter glow mix with a little Dr.Hauschka Translucent Bronze Concentrate. Some of the roses used in Rose Day Cream are from projects like these in Afghanistan and the Zahra Rosewater Company in Iran. The People’s Hero indeed! The project in Afghanistan offers an alternative way of making a living in a land where 80% of the world's heroin supply is farmed and produced. Since 2006 the makers of Dr.Hauschka skin care have been supporting a longstanding project which enables 400 farmers to grow Damask roses on 60 hectares of land. The production of rose oil has restored an ancient Afghan tradition and provides a viable option to opium poppy growing. 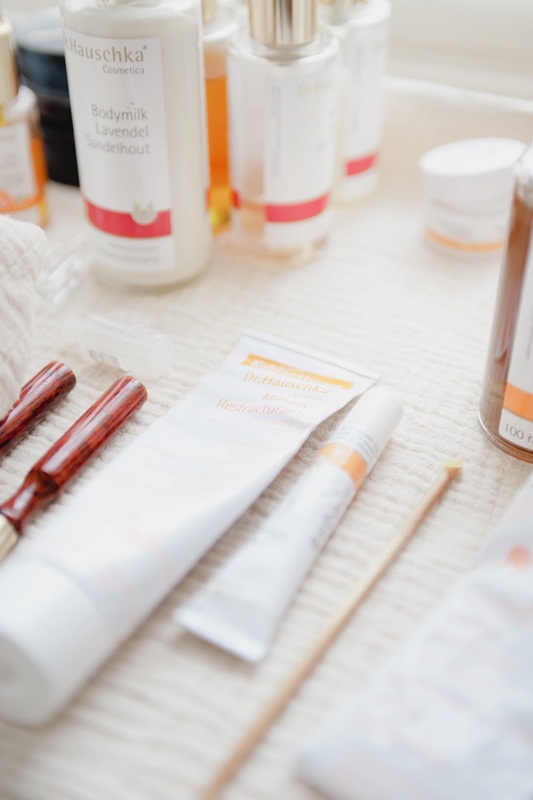 I was impressed when I first learned about these projects - it demonstrates that Dr.Hauschka skin care products are truly 'holistic'. 'The cooing of the doves fills the inner courtyard of the ochre-coloured brick building constructed by grandfather Sanati in Kerman. 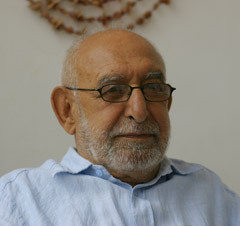 Today it houses the headquarters of the Zahra Rosewater Company and is home to Homayoun Sanati. Its walls keep out the hubbub of Kerman, now a city of a million people, and it is a good place to ponder on the origins of Zahra. After Homayoun Sanati and his wife decided to cultivate roses in Lalehzar they acquired Damask rose cuttings from the traditional Iranian rose-growing region Kashan in the province of Isfahan. The first trials were overwhelming. 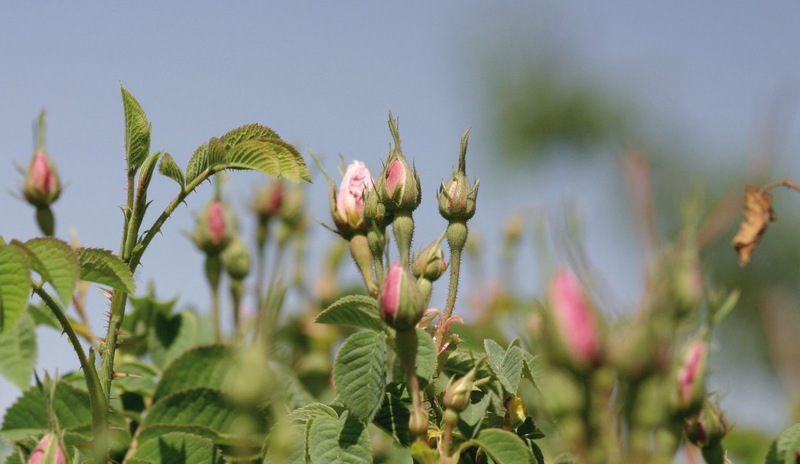 After just eighteen months the bushy rose trees were yielding blooms with a 50 percent higher oil content than roses from Kashan. This led the Sanatis to plant a 20-hectare rose field, although the farmers of the region were very suspicious of this new cultivation. Then the Iranian revolution happened. When Khomeini came to power Homayoun Sanati was arrested. He was accused of being a CIA agent because he worked for the American publishing company Franklin. Actually, his only job there was to translate English-language fiction and text books and publish them in the Iranian language Farsi. But the mere fact that he had published 1500 books was regarded as a crime against Islam, because he was said to have subverted the culture of Islam by publicising American ideas. After eight months in solitary confinement in a damp cell with no light he was forced to spend a further five years in prison. He was released in 1983. In the meantime his wife was left alone to look after the roses, which were like children to her. So it was even more terrible for her to have to look on as the farmers in Lalehzar stopped watering the young plants every 14 days and watered them just once over the whole summer. But then a miracle happened. The roses continued to grow, be green and bloom abundantly. The farmers were so impressed that from then on they began to believe in growing roses: they could see that with little work and a minimum of water they produced a far better harvest than wheat or potatoes or even the opium poppies which they had long been growing illegally to stretch their meagre income.